Articles | California Public Protection & Physician Health, Inc. This section provides the full text if CPPPH has the publisher’s permission. For other articles, we provide a link to the full text on the publisher’s website. Comprehensive Addiction and Recovery Act Sails Through Senate July 15, 2016 – In a heartening display of bipartisan cooperation, the Senate on July 13 adopted the conference report on the Comprehensive Addiction and Recovery Act (CARA) of 2016(www.congress.gov) by an overwhelming margin. The chamber’s 92-2 vote follows the House’s decisive passage of the measure on July 8 and sends the sweeping legislation to President Obama, who is expected to sign the bill. AAFP President Wanda Filer, M.D., M.P.H., of York, Pa., was quick to welcome the news. “The Comprehensive Addiction and Recovery Act will expand much-needed access to care for Americans struggling with substance abuse disorders — a policy long-supported by the American Academy of Family Physicians and our members,” she said in a statement issued July 14. Read full article here. Silence Is the Enemy for Doctors Who Have Depression. Too many physicians are suffering, and medicine is a profession in which admitting a problem carries a stigma. January 2016 article in the NY Times. New Paradigm for Recovery A comprehensive description of the elements that comprise monitoring for persons working in high risk positions — health care professionals, pilots, lawyers, this 34-page, well referenced 2014 report from the Institute for Behavior and Health, Inc., will be valuable for all who are responsible for monitoring programs. Substance Use Disorders Among Anesthesiology Residents 1975-2009 Records from the American Board of Anesthesiology (ABA) and the Disciplinary Action Notification Service (DANS) of the Federation of State Medical Boards are analyzed in depth in this article (JAMA. 2013;310(21):2289-2296). The authors, from the Mayo Clinic (Rochester) Department of Anesthesiology and the ABA, say, “To our knowledge, this report provides the first comprehensive description of the epidemiology and outcomes of SUD for any in-training physician specialty group.” The full text is available from JAMA. Drug Testing: A White Paper of the American Society of Addiction Medicine (ASAM) October 26, 2013 The science and the current practice of drug testing are covered in this 115-page, highly referenced paper from the American Society of Addiction Medicine with reviews of all aspects, from patient care and public health to public protection. New York Times: Medicine’s Search for MeaningThis long opinion piece reviews a medical school elective course called “The Healer’s Art” that “is taught annually at 71 schools in the United States (half of the nation’s medical schools) and schools in seven other countries. … And while it is described as a simple elective — a 15-hour course given in five three-hour sessions — many of the doctors who teach it, and the students who take it, see it as part of a movement.” Several California hospitals have started related efforts. One example is Finding Meaning in Medicine which we mentioned in the July issue of this newsletter.“Because it has strong links to the quality of care,” says Dr. Tait Shanafelt of the Mayo Clinic, “promoting wellness is a shared responsibility of individual physicians as well as the hospital or practice group.” You can read the whole NYT article HERE. Physician health programmes and malpractice claims: reducing risk through monitoring Occupational Medicine. April 19, 2013 From Occupational Medicine April 2013, this study demonstrates that treatment and monitoring are associated with a lowered risk of malpractice claims and suggests that patient care may be improved by PHP monitoring. Data on 818 clients were examined. After monitoring, those enrolled in the program of treatment and monitoring showed a 20% lower malpractice risk than the matched cohort. Furthermore physicians’ annual rate of claims were significantly lower after program monitoring among PHP clients (P < 0.01). 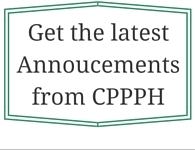 CPPPH does not have permission to post the article, but readers can see the full abstract with this link. Prognosis for the recovery of surgeons from chemical dependency: a 5-year outcome study Retrospective 5-year longitudinal cohort study discusses how Rates of relapse, monitoring contract completion, and return to medical practice may differ between surgeons and nonsurgeons being monitored for diagnosed substance use disorders. Setting the standard for recovery: Physicians’ Health Programs Robert L. DuPont, MD; A. Thomas McLellan, PhD; William L. White, MA; Lisa J. Merlo, PhD, Mark S. Gold, MD. Journal of Substance Abuse Treatment 36 (2009) 159-171 Description of 16 physician health programs and the elements that make up their management of cases with outcome data about physicians in treatment and monitoring. AMA Report of the Council on Medical Education: “Competency and the Aging Physician is a 20-page report related to the AMA policy discussion on the development of preliminary guidelines for assessment of the aging/late career physician and development of a research agenda that could serve as the basis for guidelines grounded in research findings. It is CME Report 5-A-15. Antidotes to Physician Burnout: Fostering Physician Resiliency, Well-Being, and Holistic Development Medscape. Apr 19, 2013 This 6-page Medscape article (with 15 references) is a general discussion of burnout issues and a description of the program in place at Florida Hospital, an Orlando-based 8-campus hospital system with 2000+ members of the medical staff. Physician Resilience and Burnout: Can You Make the Switch Family Practice Management January/February 2013 © 2012 American Academy of Family Physicians The author details the impact of “burnout” on physicians. It is estimated that burnout starts during medical training and continues throughout a physician’s career and is linked to four qualities that are inherent to most physicians: service and sacrifice, excellence, curative competence, and compassion. The author suggests resiliency training and a new curriculum for students as a possible solution. Why are MDs Burning Out in Record Numbers? [PDF] Medscape. Nov 27, 2012 In this Nov. 2012 Medscape interview, a former president of the American College of Physicians, Paul Griner, MD, discusses the risks and consequences of burnout and describes a mentoring program in his institution at Danbury Health Systems in Connecticut to address which addresses it. Responding to Behaviors that Undermine a Culture of Safety [PDF] This 9-page article from NORCAL Mutual Insurance Company (2010) uses an illustrative case study to provide information about appropriate responses to disruptive behavior and effective management. Disruptive Physician Behavior: Use and Misuse of the Label [PDF] Journal of Medical Regulation (2011) Vol. 98, No. 1 This article provides in-depth information about disruptive physician behavior, including discussion of the causes and contributing factors, strategies to manage such behavior, formulation of medical staff policies, and appropriate and inappropriate use of the disruptive label. AMA Action Plan for Reducing Risky Drinking [PDF] includes a 2-item screening instrument suitable for use in a medical staff newsletter or communication. Confronting Physician Depression and Suicide in Physicians, A Consensus Statement JAMA. 2003;289(23):3161-3166. doi:10.1001/jama.289.23.3161. Physician Health and Wellness Sara Taub, et. al., for the Council on Ethical and Judicial Affairs of the American Medical Association; Occupational Medicine2006;56:77-82 doi:10.1093/occmed/kqj025 6 page article with the objective to develop ethical guidelines regarding physician health and wellness based on the AMA’s Council on Ethical and Judicial Affairs recommendations (based on the AMA’s Code of Medical Ethics), an analysis of relevant Medline indexed articles, and comments from experts. The report’s recommendations were adopted as policy in December 2003. The Disabled Physician: Problem-Solving Strategies for the Medical Staff Daniel A. Lang, MD, American Hospital Association Publishing, Inc., 1989 141 page discussion, from the point of view of the medical staff and the hospital, of all aspects of medical staff policies and procedures. Includes several illustrative case studies.